We’d love your help. Let us know what’s wrong with this preview of Warrior Dreams by John Donohue. To ask other readers questions about Warrior Dreams, please sign up. 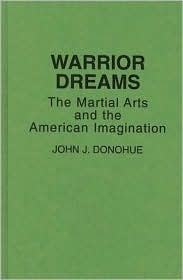 I like some of th insights in this work regarding the asian martial arts and the american imaginatuion--they served for the catalyst for the novel Sensei.